Triple Sun, often stylized as “°°°”, is an atmospheric, sludgy post-rock band, and they released their album, The City Lies in Ruins, on May 13. It’s a really good album with vibes of avant-garde music all around, although it lies more in the emotional than the technical department. Consider listening to it for some more ambient and laid back jams, although still retaining some heaviness. 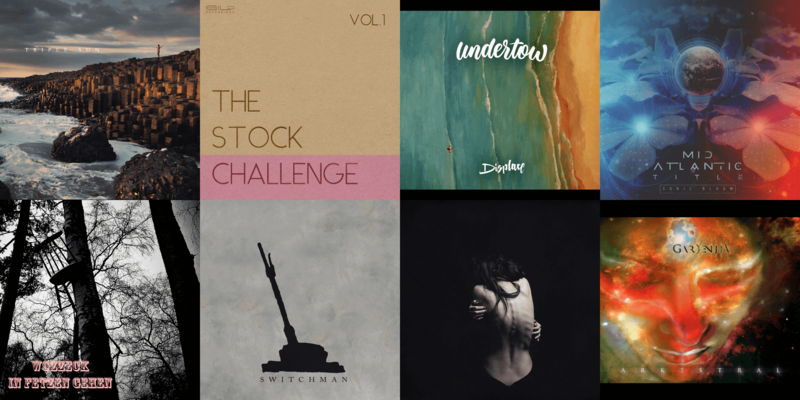 Guitarist, keyboardist and composer David Maxim Micic just released The Stock Challenge | Vol. 1, a two-song EP (three if you count the instrumental version of Wallflower). The idea behind this release is to use entry-level gear and equipment, both to create an artistic limitation and to show people that gear is not all that matters. However, his stock plugins and cheapest equipment are still miles ahead of what many people can afford. The end result sounds great, massive, and professional despite this limitation, but it’s really not interesting musically. The first track is a pretty standard rock-meets-dubstep track, and the second one is some sort of sweet ballad. I have to give him props for the challenge, but I’m not recommending the music (it’s free, though, so do what you want). Funk jam band Displace released their sophomore album, Undertow, this week. Contrary to their debut, Eureka!, I have absolutely no problem recommending this to anyone and everyone; it’s awesome! The compositions are great, and it’s full of improvisation throughout. The skills of each musician shine through their disco-jazz songs, and their singer – if it’s the same as before -, really grew, as I couldn’t endure most of the songs with vocals on Eureka! If you need a final argument: the album is donation-based (no lower limit for downloading). Dillon here just let me know about this one, and I must thank him! He’ll also do a full-fledged review, so I’ll be brief. Mid Atlantic Title‘s Sonic Bloom is a progressive math rock EP with jazz aesthetics. I think it’s very good, and think you will too! Wozzeck released In Fetzen Gehen, an experimental noise EP barely under six minutes in length, divided in fifteen tracks. I don’t understand them, these days. They released some of the best noise albums in their early career with acts I through IV, possibly culminating with the latter, but since then, I feel they’ve devolved into utterly unenjoyable electronic experimental noise, especially with Act 6. This EP, though, tries to climb back up again, with some pretty cool drumbeats and glitch… I just need to listen to Act IV again, though. Delvoid released one of the best atmospheric prog albums, two years ago, with Serene. What I liked the least were their more energetic passages, but their song-building and atmosphere crafting skills were off the charts. With the Switchman EP, they seem to focus on shorter, more in your face songs, which I can only regret. Not that they are bad, they really stepped it up since Serene, but it’s still not where they excel. It’s a pretty good, three-song EP, and I suggest you take a listen or two, but I still recommend their latest album above anything else. French avant-garde band Rïcïnn released Lïan this month, through Blood Music. It’s very atmospheric, and features Laure, the operatic singer from Corpo-Mente. It’s dark and moody, if you’re into that sort of mood or music in general, right now, this might be for you! Finally, Gardenjia‘s Arkestral is a progressive technical death metal band not too far from Fallujah because of their soaring, atmospheric guitar leads above fast and technical riffs. It’s a great debut album from a promising Italian band, be sure to check it out! On	June 26 2016, this entry was posted.